Amazon’s multi-platform app (Android, iOS, and Windows Phone) includes a customizable display and syncs across multiple devices and operating systems. That way you can keep reading – from Amazon’s gigantic inventory of e-books – with a virtually seamless transition from one device to another. The app remembers the last page you read and lets you use bookmarks, do highlighting, and add notes. 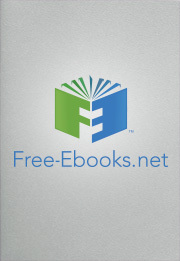 The Nook app (Android, iOS) also provides access to one of the world’s largest databases of e-books. There are a variety of different customizable settings so that you can change fonts, for instance, or shift to nighttime mode for ease of reading in low-light situations. Likewise you can synch across platforms and devices while preserving notes and remembering the last page that you read. Apple iPhone and iPad users will find the iBooks app handy for reading e-books and the app includes features such as multiple reading views, highlighting, and customizable fonts and colors. You can import books from iTunes and use iCloud, too, as you sync your library, last page read, and more across all of your different Apple e-reading devices. The Moon+ app for Android users has received rave reviews from lots of users and bloggers, thanks in large part to a highly customizable interface. While the basic app is free, it is recommended that readers go ahead and splurge five bucks for the Moon+ Reader Pro version. It includes extras like statistical tracking that calculates how many books you have, have many you have finished reading, and how many total pages you’ve read. Perhaps more importantly, the Pro version accommodates PDF files, has text-to-speech capability, and can be integrated into your DropBox account as well as Google Drive. When you want to access books you have stored in those places you simply connect via your Moon+ Pro app to save the hassle of downloading them again. The Kobo (for Android and iOS) lets you access content from its online store or import your own personal content. The app supports multiple formats, too, including epub, PDF, CBZ, and CBR. You can customize the app with your preferences and also sync it across devices and platforms, including social platforms like Facebook. BlueFire (for Android and iOS) also reads PDF and epub content and lets you view DRM-free and Adobe Content Server-protected documents. Reader preference customizations include page layout settings, font, text size, text and background colors, highlighting, bookmarking, and more. Meanwhile the Google Play Books app (for iOS and Android)has similar customizations options for font, highlighting, and syncing across multiple devices. You can also use a nighttime reading feature that helps make it easier to read in dimly lit environments. With most technologies, hands-on experience is the best way to determine which particular product feels most intuitive to you and offers the specific features you want and need. You may even discover that you really like more than one e-reader app, especially if you own multiple devices that require platform compatibility that is hard to find in just one single app. Because many great e-readers apps are either free or only cost a nominal amount to download and try, don’t be afraid to try out three or four. That is an easy way to experiment and do confident “apples-to-apples” comparison shopping.